Peter King has the details: Tom Brady has signed a three-year contract extension with the Patriots that will run through the 2017 season, when he will be 40 years old. 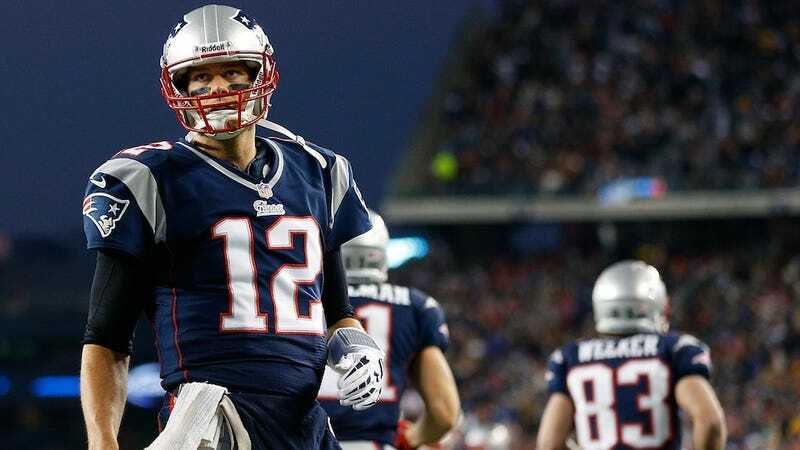 More than basically cementing Brady as a Patriot for life, the deal's a huge coup for New England—Brady is taking much less money that he'd get on the open market. Brady will get paid $27 million over the three years—as King writes, that's not even half of what he could command. This is manna from heaven for the Patriots, who figure to bump up against a salary cap that's not expected to increase for a few years. By getting Brady under market value, and doing some wizardry to spread out the cap hits to seasons when they can afford it, New England finds itself flush with cash and space to make a splash this offseason. Welker? Wallace? Jennings? It's not all altruism on Brady's behalf. He very well might be considering his future. Very few QBs remain starters through age 40, let alone stay elite. As part of the cap magic to spread out his hit, Brady will receive more guaranteed money, and sooner. If he plays five seasons under this deal, New England got a bargain. If, by 2017, he gets injured or breaks down or becomes ineffective, he'll still have banked superstar money for it. You know who's pissed right now? Joe Flacco. Based on last season, the bar for an elite quarterback was set by Drew Brees, who signed a complicated deal that amounted to three years, $61 million. Hell, Mark Sanchez signed a three-year extension ostensibly worth $40 million. Now, owner Steve Bisciotti can tell Flacco's agent, "We'll give him Brady money." It's not that simple, of course, but the NFLPA can't be happy about any player willingly taking less money. In a capped sport, players are competing with each other for limited resources. Short-term, the money that would have gone to Brady (a player with endorsement deals and an independently hyperwealthy spouse) gets spread around some, but the union would always prefer to keep raising the bar on the going rate for a franchise player.